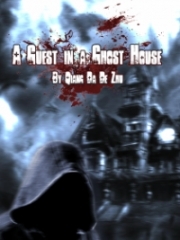 The sound of the gunshot from behind her had scared Qin Xiaoyou. But she didn't look back and continued to grit her teeth and run. Even though it was pitch black up in the mountain, she was not the least bit afraid at that moment. Mo Wen let out a cold hmph as he raised his arm, and a silver ray flashed out. Suddenly, a bunch of sparks burst in midair. An ear-piercing sound of the sc.r.a.ping of metal rang out. Following that, a bullet sh.e.l.l fell onto the ground. Apart from that, there was also a coin that had been slightly bent out of shape. Mo Wen waved his hand and had intercepted the bullet that was travelling at a high speed. Looking at the bullet sh.e.l.l that fell to the ground, Mo Wen let out a slight sigh of relief. He did not have much confidence in whether his technique would work or not. His move was entirely based on his intuition. After all, his present skills were not as good as last time. Just relying on a hidden weapon to intercept a high-speed flying object was of a very high difficulty. However, it was fortunate that his skills were not as lousy as he thought, and he could still hit the bullet just based on his intuition. 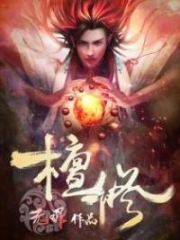 Back in those years when Mo Wen had entered deep into the barren mountains, he had sought the teachings of a great master of hidden weapons and had spent a lot of effort in order to learn a fantastic hidden weapon magical power. Even though his skills were meager and were incomparable to the great master, it was still of a master's level in the context of martial arts. Seeing as Mo Wen had relied on just a coin to intercept the bullet, the man's eyes filled with disbelief, as if he had seen a ghost. It was difficult to do this for even an ancient martial arts pract.i.tioner who was renowned all over the world, much less a regular martial arts pract.i.tioner. Perhaps an ancient martial arts pract.i.tioner with the Sea of Qi realm could easily evade a bullet and could kill off the enemy in an instant before getting killed himself. However, a bullet that had already been shot that travelled at scarily high speeds… even an ancient martial arts pract.i.tioner with the Sea of Qi realm would find it tough to intercept the bullet. While the tall and skinny man was still in a daze, a bright silver ray flashed out again. In a second, the tall and skinny guy staggered and fell to the ground. He did not even have time to let out a scream when a bloodied hole appeared in between his eyebrows where dark red blood flowed out continuously. The big tree behind him had suddenly been ingrained with a silver coin that was laced with blood. 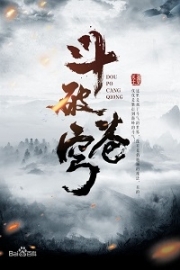 Living in the forest made Mo Wen not have any limits, and therefore he could directly kill a person. Moreover, the situation today could not be settled without killing anyone. Seeing as someone from his own side had been killed so early into the battle, another guy who was slightly overweight and short shouted angrily, "You're looking for death." With a few flashes, he appeared in front of Mo Wen and viciously threw a fist at Mo Wen's head. Before the action could be completed, the swift and fierce wind created by his palm blew over and made Mo Wen's hair fly straight up. At the same time, a wave of pressure enveloped Mo Wen's body; it was as if breathing became a little more difficult. Mo Wen's eyes squinted slightly. The slightly overweight guy was similarly of the Regulated Breathing realm. Out of the seven people at the scene, his skills were inferior to only the short, middle-aged man. From the beginning, Mo Wen noticed him. At this moment, he simply arched his body slightly and calmly, and an unusual wave was emitted from his body. This put an end to the pressure from the slightly overweight and short man. With a small movement beneath his foot, his figure had flashed and retreated three feet, completely escaping from the pressure of the palm. At the same time, three silver rays had flashed out and hit the slightly overweight and short guy directly in between his eyebrows, his throat, and heart - the three vital organs. The slightly overweight and short guy got a shock. He had not even noticed that Mo Wen had escaped from his attack and had just flashed back before he appeared three feet away. His attack had failed completely. A sense of crisis rose from within the slightly overweight and short guy. He did not think twice before doing an agile side-flip. Two of the silver rays went past his body, missing him. However, one of the silver rays had shot him directly in his flabby thigh. The short and overweight guy let out a cry and fell to the ground. A bloodied hole had appeared on the thigh of his right leg; it stained his entire pant leg red. He felt as though the bones in his thigh had shattered. He could not even stand up. When he felt that something was not right, he had immediately focused all his Inner Qi to his thigh area. However, he was still unable to restrict the penetration of the silver ray. A casually thrown hidden weapon had such a frightening strength! He looked toward Mo Wen, a little shocked and afraid, as he could not imagine meeting such a scary youth, even in his dreams. Mo Wen laughed coldly, and with a slight movement under his foot, his figure had flashed and appeared in front of the short and overweight man once again. However, before Mo Wen could even move, a strong gust of wind had suddenly come from behind him. He raised his eyebrows, and with a slight movement of his body, he shifted two feet in mid-air. A bitingly cold gleam had immediately brushed past his body. Mo Wen reached out his hand to test the waters, and the cold gleam had appeared in his hand in no time. It was a shining Flying Willow Blade, and it was one of the most basic hidden weapons which was the easiest to learn. Over 30 feet away, a middle-aged guy of an average build hid behind a large tree. It was him who had just made a surprise attack on Mo Wen. Mo Wen could recognize in an instant, that the chubby guy had not made the attack. and that he was the last Regulated Breathing ancient martial arts pract.i.tioner who knew the Regulated Breathing realm. "One doesn't play with hidden weapons like that." Mo Wen's lips twisted up and casually shot the hidden weapon back. A cold gleam flashed, and within an instant, it had travelled directly at the boy behind the tree as fast as lightning. In the end, it was as if the cold gleam had grown eyes. It did not hit the large tree at all. Rather, it had agilely detoured around the large tree. The cold gleam flashed before shooting back again. It fell back into Mo Wen's hand. However, at this time, the Flying Willow Blade had a fresh layer of blood stuck on its edge that was dripping down onto the ground. It was only then that a human figure slowly fell from behind the tree. There was a thin and long incision at the throat where blood was continuously flowing out. With the person at the intermediate stage of the Regulated Breathing realm, he could've put up more of a fight. 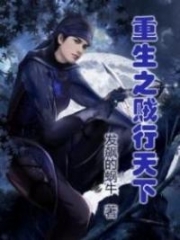 However, he had believed too much in the large tree being able to help him escape from the threat and also underestimated Mo Wen's amazing skill of the hidden weapon. He did not dare believe that the Flying Willow Blade could actually make a turn. Because of that person's interruption, even though it had only been a short while, the short and overweight guy had gradually caught his breath. The Inner Qi circulated within his body and forced out the silver coin that had been driven into his thigh. With a hit of his palm on the ground, his overweight body flew up into the air and inverted agilely. He did not dare to battle it out with Mo Wen anymore and simply escaped. He knew that meeting such a scary person meant that the day's plan was foiled. "You want to leave? Too bad." Mo Wen laughed lightly and uncaringly. With a flick of his finger, the Flying Willow Blade in his hand flew out immediately. In the blink of an eye, it had shot directly at the throat of the short and overweight guy. The strength of the blade carried the corpse and nailed it to another large tree. Mo Wen's battle consisted of several, simple breathing techniques, yet three people died in his hands. 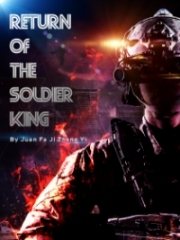 At this moment, in the other two battles, w.a.n.g Yuan was surrounded by two other ancient martial arts pract.i.tioners with the Body Consolidation realm. Although it was only for a while, his body had received multiple injuries and he was in danger. As for Liu Guangwen, his current situation was also extremely dangerous. Although he was in a later stage of the Regulated Breathing realm, he, alone, was faced with the most powerful short, middle-aged man. Moreover, there was someone with the Body Consolidation realm keeping watch with hostility not far away, ready to attack at any time. 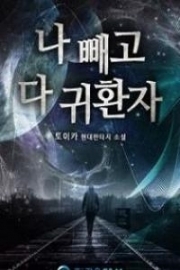 You're Read Invincible Kungfu Healer Chapter 48: A Hidden Weapon Shocks The World online at NovelOnlineFull.com. You can use the follow function to bookmark your favorite novel ( Only for registered users ). If you find any errors ( can't read,broken links, can't load photos, etc.. ), Please let us know so we can fix it as soon as possible. And when you start a conversation or debate about a certain topic with other people, please do not offend them just because you don't like their opinions. You're reading Invincible Kungfu Healer. This manga has been translated by Updating. Author(s): Azuresky. Already has 889 views. Current Time is 18-Apr-2019 12:25:12 PM.